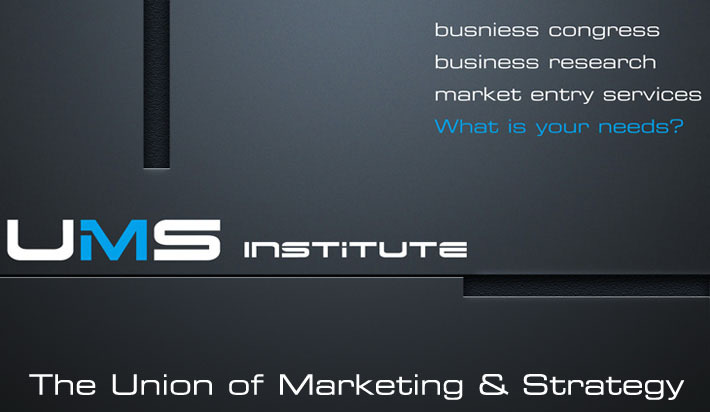 UMS Institute is a leading Asia-Pacific B2B integrated services provider and organizer of top-level business events. UMS Institute satisfies business executives from all over the world with the provision of know-how, skills, specialized insights into market needs or industry trends and exclusive client-centric Medias. We offer you the business intelligence to the world's leading management and their professionalism, furthermore the insight provides you with excellent opportunities of networking re-education and business development. Customizing is the core value we pursue in UMS Institute.In this dynamic business world we deliver the premier level events to our clients in Asia Pacific and other regions.The great success we do the best to achieve is based on our constant research and keep mind open to all industry professionals.To bring business intelligence to our clients, we cooperate with our regular partners in the event industries: government bodies, top 1,000 companies, solution providers, associations, research centers, academic units and venue suppliers.